Home Tags Posts tagged with "lastest on bobbie kristina"
Nick Gordon and Bobbi Kristina Brown couldn’t have seemed happier during a trip into the AT&T store in Roswell, Georgia, on Friday, and she even showed off what seemed to be an engagement ring. 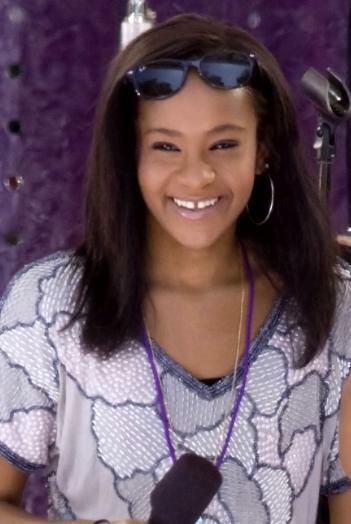 Bobbi Kristina Brown, 19, is getting through the heartbreak of her mom Whitney Houston‘s tragic death thanks to love from her “adopted” brother, Nick Gordon, 22, to whom she is now believed to be engaged. “They bought the new iPad 3,” the source added. Another source at the couple’s favorite Starbucks in the area was surprised to learn Nick Gordon is actually Bobbi Kristina’s “adopted” brother, not just her lover. Earlier reports claimed that Bobbi Kristina Brown and Nick Gordon are planning a Vegas wedding in the near future. “I’ve always thought they were a couple,” the Starbucks insider said.